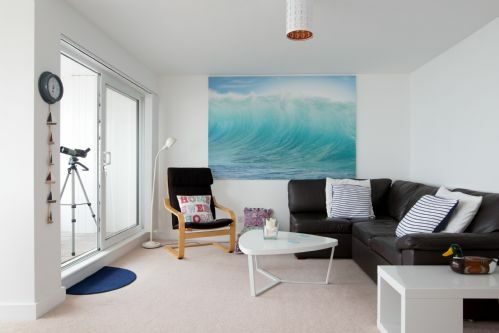 Marineside is a beautiful and immaculately appointed sea facing apartment; a little piece of heaven away from the chaos of day-to-day life. 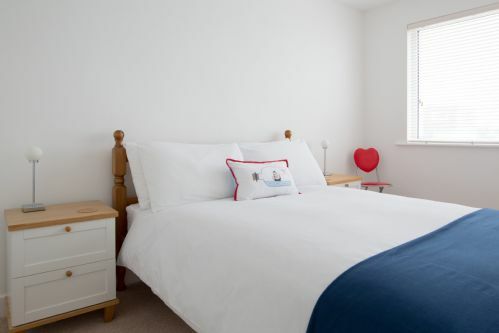 With a double and a twin bedroom, Marineside is ideal for a small family group holiday or couples getaway. No matter where you are in this property you are never more than a head’s turn from a fabulous sea view. A wonderful place for a few days away. Great view over the beach. This is our second visit and it is beginning to feel like home! The views along the beach in each direction are stunning. Amanda could not be more helpful. Lots of great places to visit in the near vicinity. Wonderful location and views, right on the beach. The views from the window are superb, and it such a convenient location with so many wonderful places nearby to explore. It is warm and well equipped. The sofa is not the most comfortable for an evening in, but other than that everything was fine. Beds very comfortable and everything was provided. We loved being able to hear the sea in the evenings when we couldn't see it. Sunrise and sunsets are magical. I could have sat and looked at that view all day. The flat is right on the beach with long views in both directions. Love it. We will be back. We had a wonderful short break at Marineside. 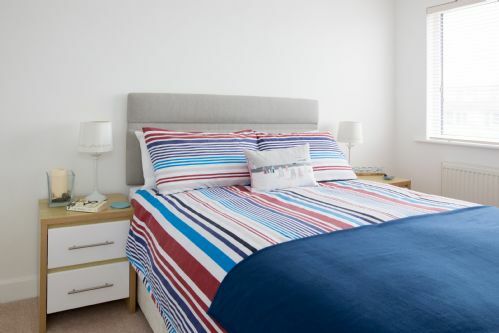 The flat is very clean, comfortable and well furnished and the view over the sea is spectacular. Great to watch the mazing sunrises and have breakfast at Billy's on the Beach which is within walking distance of the flat. We will definitely stay again. Fantastic sea front location! A great escape and very peaceful. A wonderful property situated in a gated community right on the beach. Fantastic views from Bognor Regis to Portsmouth and across to the Isle of Wight. We would recommend this flat to any family! The property suited my family perfectly. The view from the balcony was wonderful. Flat was comfortable. 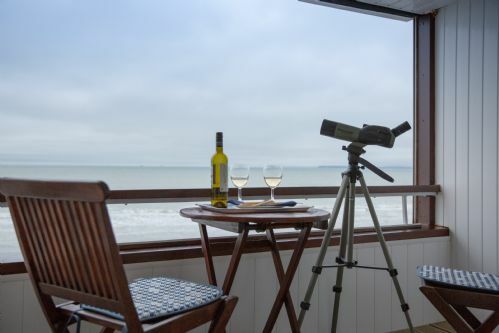 Excellent weekend, well equipped apartment with wonderful views of the sea. Nice walks along the beach. We will be back! We spent a lovely few days at Marineside which had everything we needed and a fabulous sea view. Our host was responsive & helpful when I had a query. Would definitely recommend. 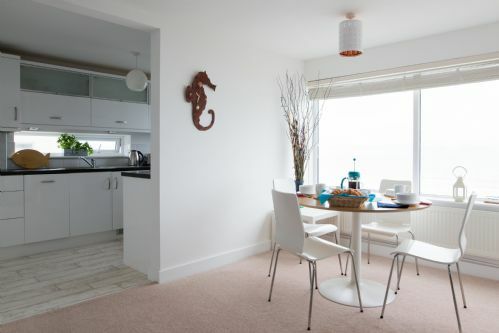 This apartment really is quite special with amazing views out to sea and just a few seconds to the beach. It was clean and tidy and very well appointed. Communications were great and the approach friendly and flexible. With so much to do and see in the area it's a great base. Fabulous location and although the weather was cold and grey the view was still mesmerising. Lovely walks on the beach especially at low tide. The apartment was very well equipped, light and airy and de-cluttered. Beds were blissful. We'd recommend it thoroughly. Fantastic apartment with stunning views of the sea, it was clean and well equipped. Thanks to Amanda for excellent customer service. We really enjoyed our stay, but with sensitive neighbours it is not really suitable for those like us with young children (ours are 7 and 2). A small but very well proportioned apartment with stunning sea and beach views from the large picture windows from morning 'till night! Picture perfect! With Billy's on the Beach a short stroll for b'fast, lunch and dinner and East Wittering with the numerous restaurants, butchers and fishmongers, Tesco Boots and the Co-Op all a little further along the beach approx a half an hr walk. Amanda a terrific host! High-quality accommodation with fair rates for one couple (staying in a 2 bed) right by the sea - you can hear the waves in every room which is lovely. Great customer service from Wellies and Windbreaks too. Bracklesham itself is really quiet as there's not much there these days, so other than one very decent local café, you need to walk to East Wittering which is 20-30 minutes by foot, but the location is great if you're looking for seaside quiet and walking. We enjoyed a great winter weekend break at Marineside. The apartment is very comfortable and well equipped with everything that we needed. The location is ideal and it is so relaxing to be able to sit almost anywhere and enjoy the sea view. Amanda from Wellies & Windbreaks was very efficient to deal with. We would love to return one day. Thank you.